The Dragon Variation of the Sicilian. 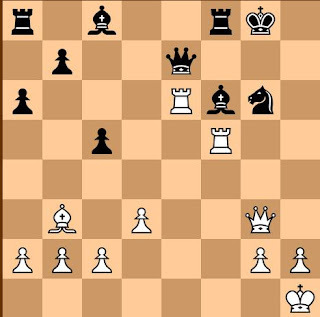 Notice the dragon-shaped outline of White's pieces. 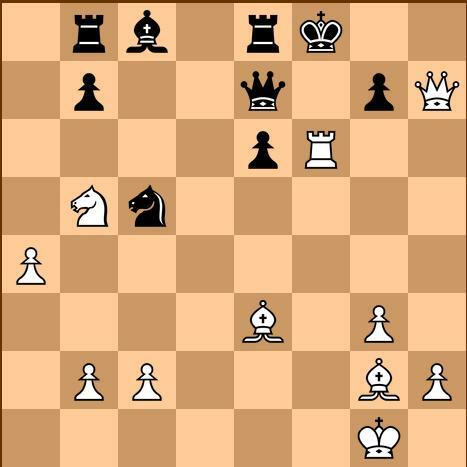 Preventing 13.....Nc4 which would be favorable for Black. Protects the e-pawn. If 19.....Bxc3, 20. Qxc3 Qxa2+, 21. Kc1, the position would benefit White more. Unperturbed by dangers in his own turf, White pushes on with the attack. Black resigns. 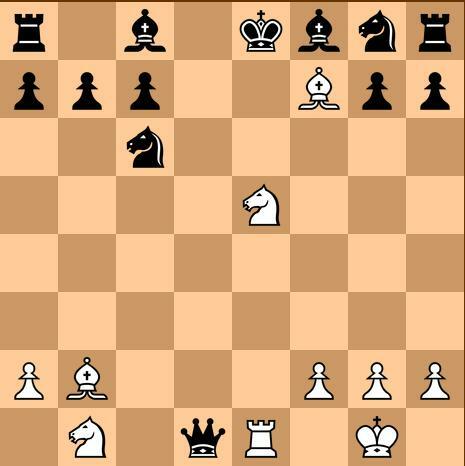 He cannot avoid mate after 25.....hxg6, 26. Rg1 Kh7, 27. Rxg6. A shocker! Only at this point has Black realized that his King is exposed. Not 17....Kg8 because of 18. Qxe8. If 17....g3, then 18. Qxh7+ Kf8, 19. Bh6 mate. The Knight at c5 is lost anyway, and the Black Queen has nowhere to go. Vishy may have other plans. Now, Black defends his Knight. Another stunner! Now, if 23....gxf6, then 24. Bh6+ leads to mate. If 24.....Kf7, then 25. Nd6+ and White wins instantly. Black's King can only go to g6, and mated after 27. Be4+ Kg5, 28. Qh4+. White is trading one of his Rooks for the opponent's Knight. 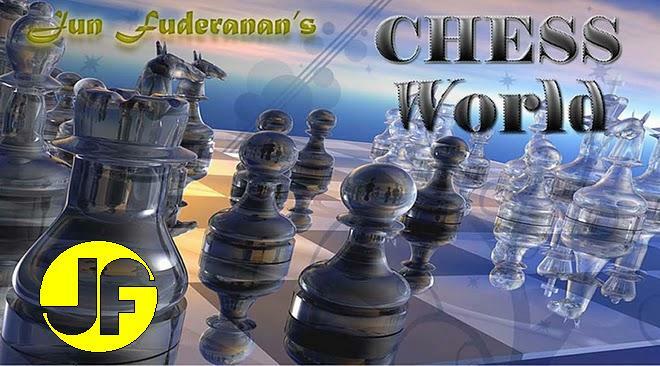 This game is considered one of the most brilliant chess games ever played. Vishy Anand, 2012 FIDE World Chess Champion, handled the black pieces real well. 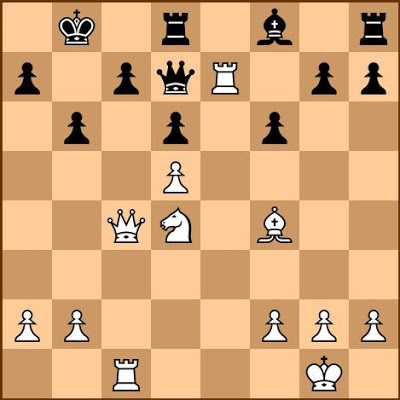 The Queen's Gambit Declined, Semi-Slav Defense, Meran Variation. 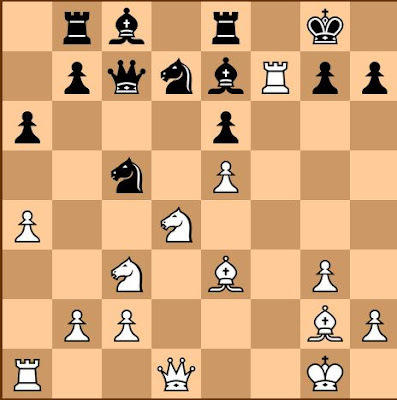 If 13.....Bxh7, Black simply moves his King to h8. 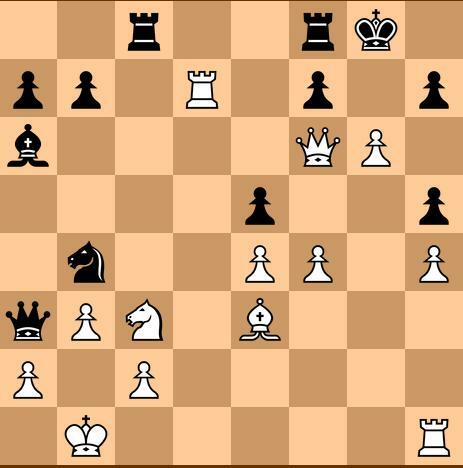 Neither can White survive after 14. g3 Qh4, 15. gxh4 Bxh2 mate. A surprise move! Black's intention is to activate the sleeping Knight on d7 and to post his Queen on d4. Another surprise. Now, if 17. dxc5, Qd4+, 18. Kh1 Nf2+, 19. 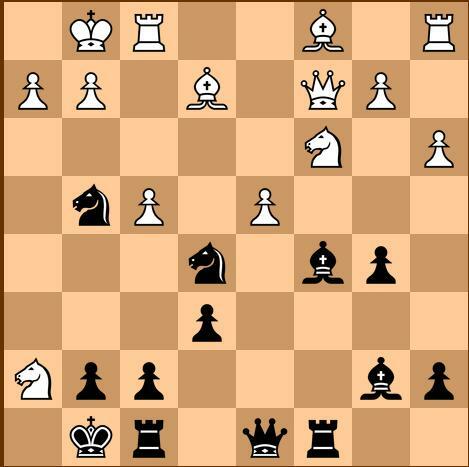 Rxf2 Qxf2 and Black wins the game. If 17. fxe5 Bxd4+, 18. Kh1 Qh4 and Black threatens mate. Taking the wandering Knight would prolong the game. If 19....Kxf8, then 20. Qh7 .... Black's Queen is too valuable to stray away from her intended square, which is h4. Now, if 19....Qh4, then 20. Qh7+ and the exchange of Queens would favor White. A fantastic cover! White resigns since he cannot prevent the impending mate without tremendous loss of materials. The Scotch Gambit is an aggressive line in the Scotch Game that gives up an early pawn for a strong early attack against the black King. Black's Queen cannot go to c8 because of the threat 19. Nc6+ and mate afterwards. White sacrifices one pawn after another. What could be his plan? A surprise move! Morphy takes advantage of the opponent's exposed King. The most logical move against White's double-check. Astounding! A brilliant Queen sacrifice.